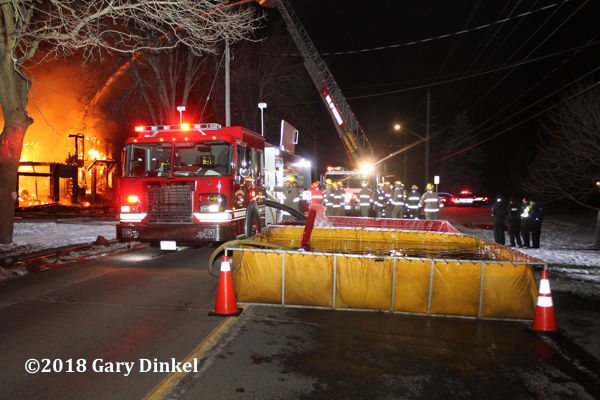 Kitchener (ON) Fire dispatch toned out New Dundee Fire for a barn fire at 966829 Oxford Waterloo Road, December 4 at 5:05. 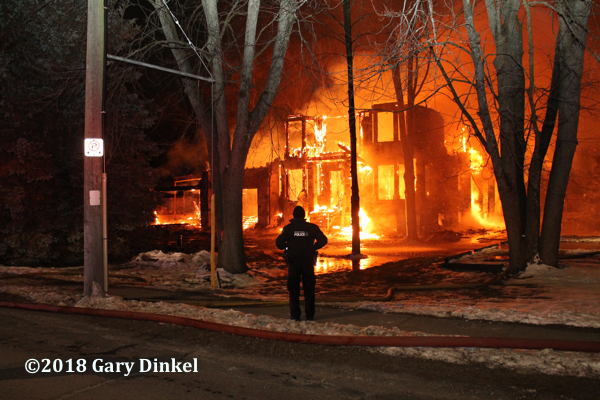 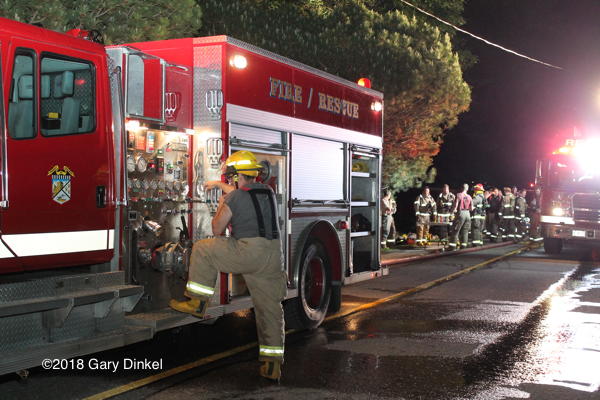 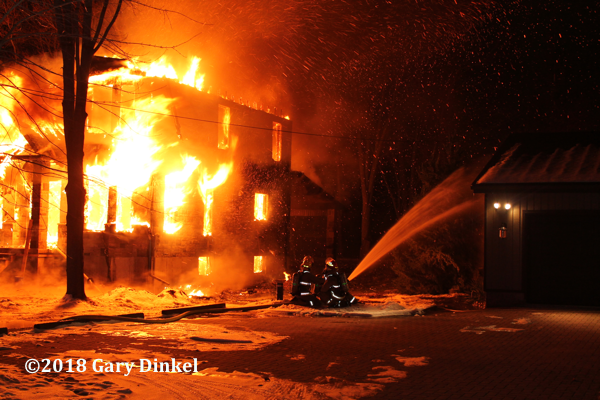 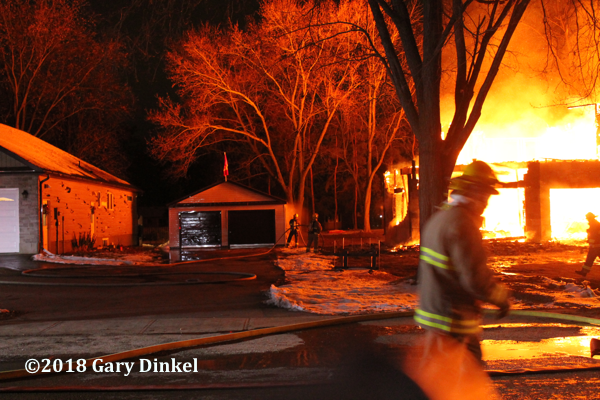 New Dundee requested a full response from New Hamburg plus Baden’s two tankers before arriving to the fire. 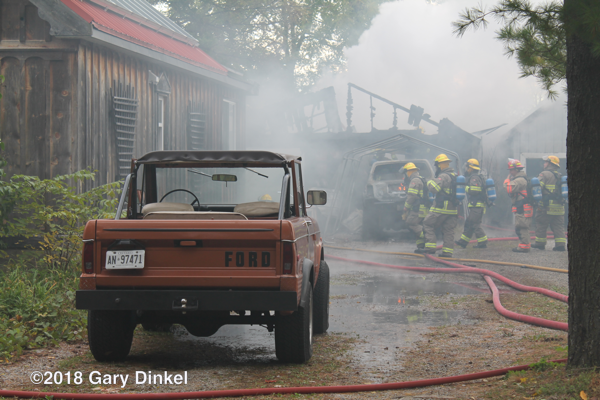 Once on scene trucks had to dodge roaming cattle driving into the farm. 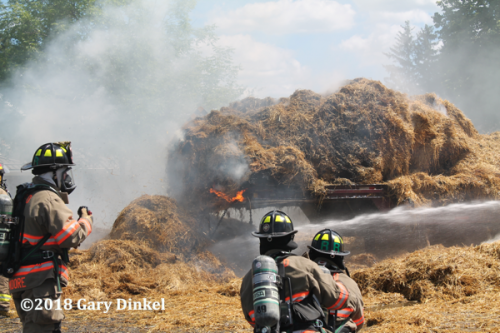 Command requested a full response from Baden reporting they had an approximately 350×100 cattle barn fully involved on the east end of the structure. 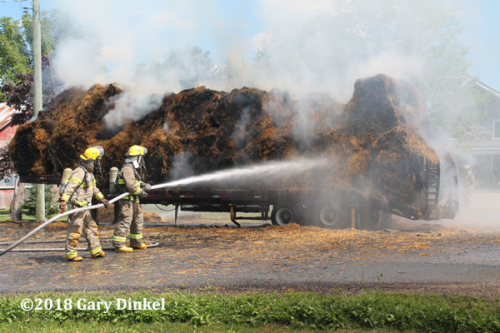 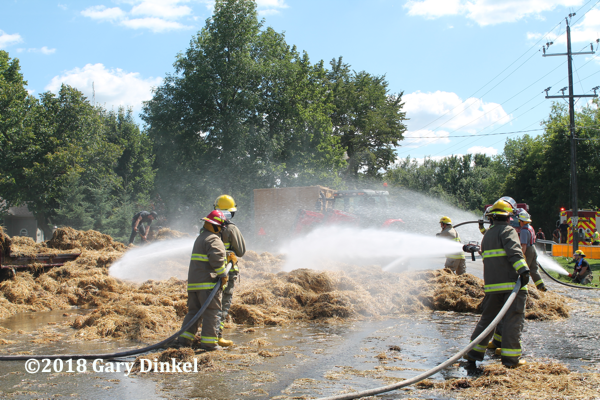 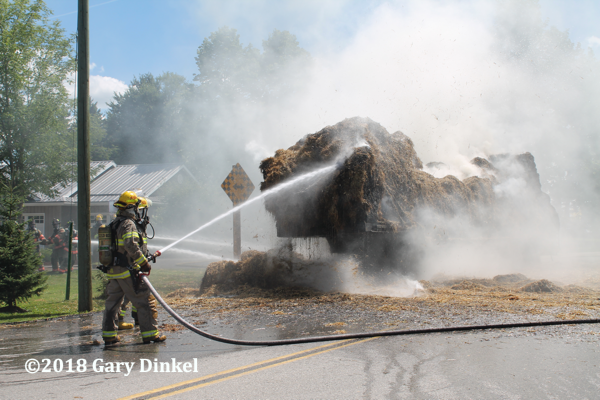 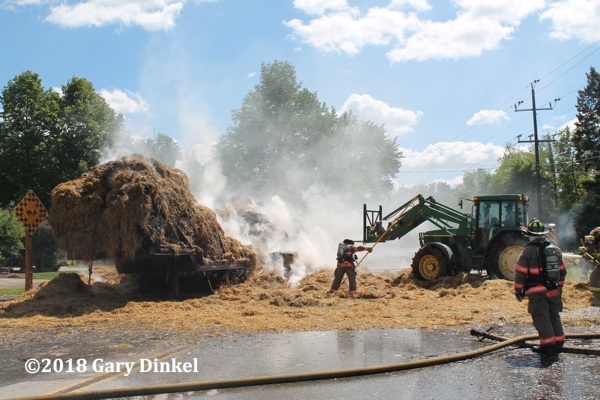 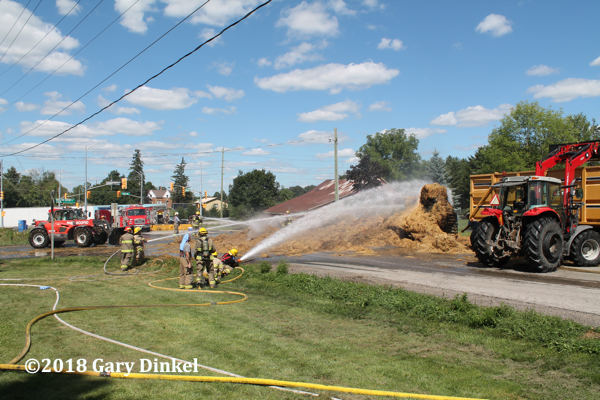 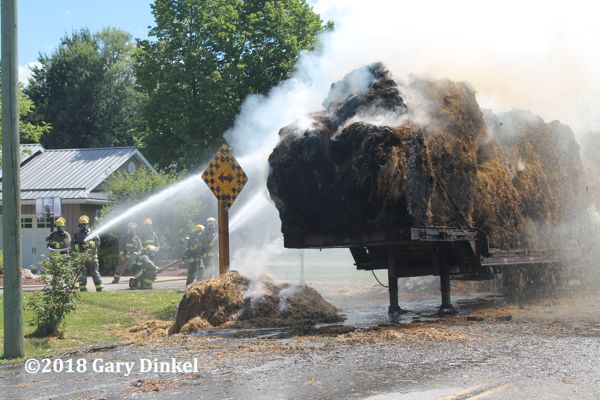 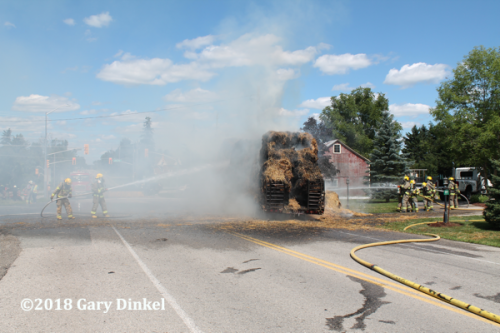 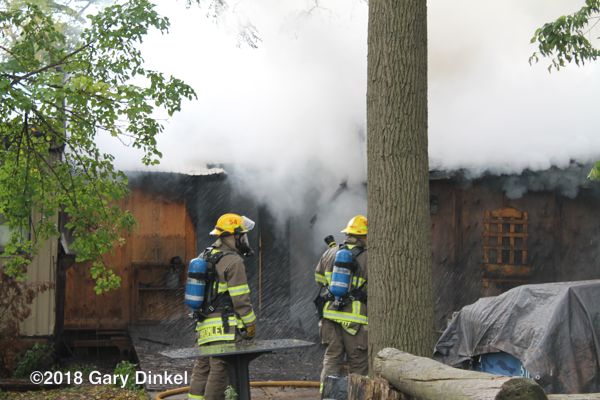 Due to heavy smoke, firefighters couldn’t see how much of the barn was burning. 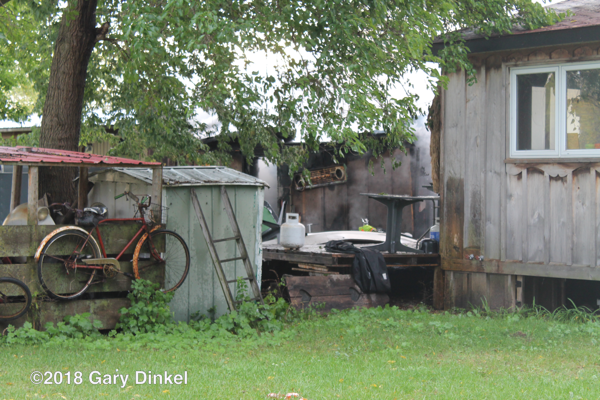 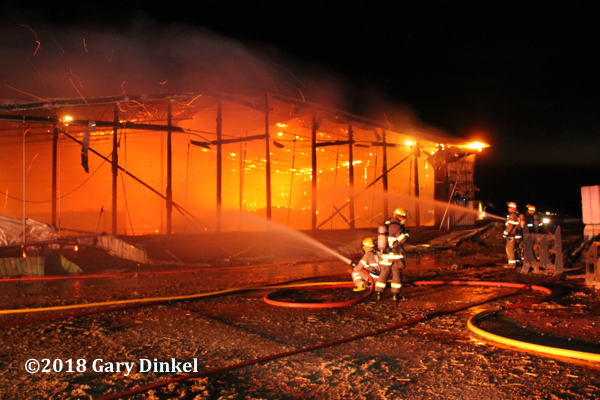 A 360 revealed 30% of the barn was burning and that there was a large number of cattle still in the structure. 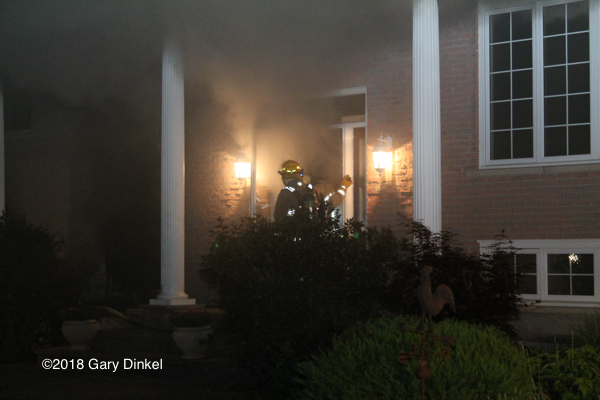 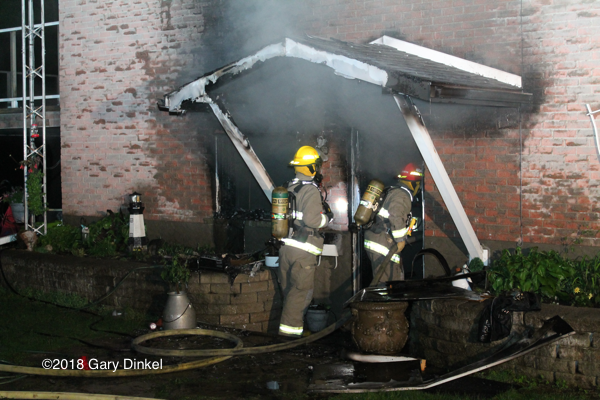 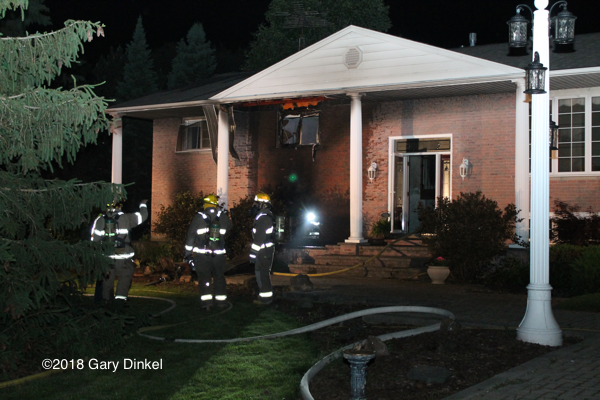 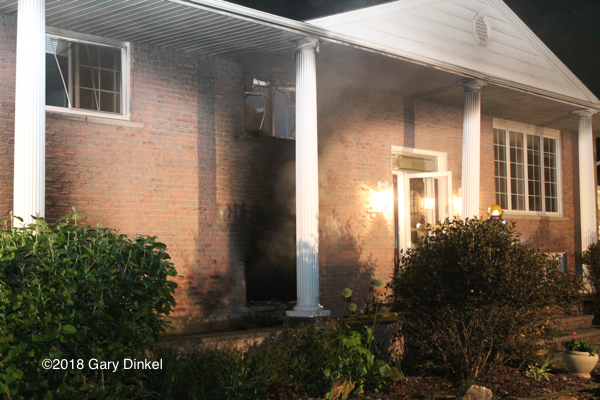 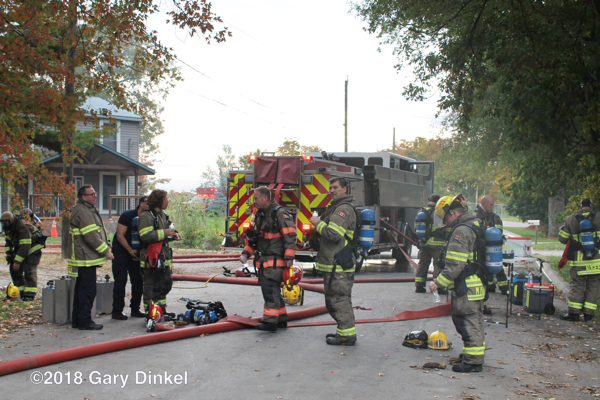 Multiple small and large lines were pulled to attack the fire. 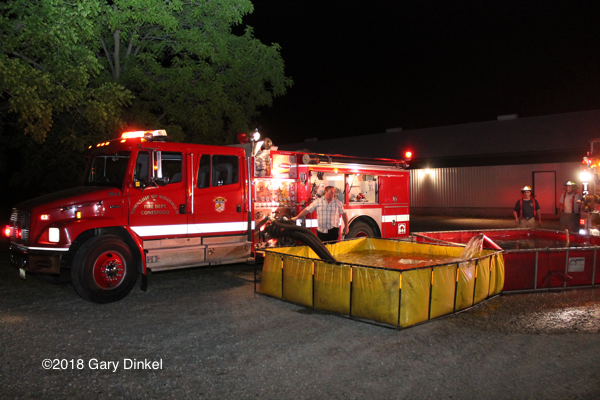 Two port-a-tanks were set up for water supply. 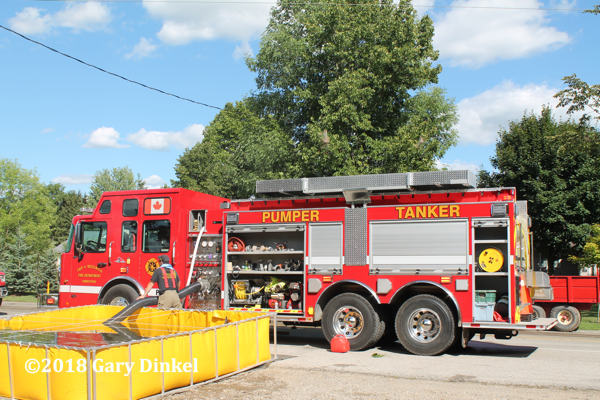 Tankers drove to Plattsville, 1.8 miles from the scene in Oxford County to fill up at a hydrant. 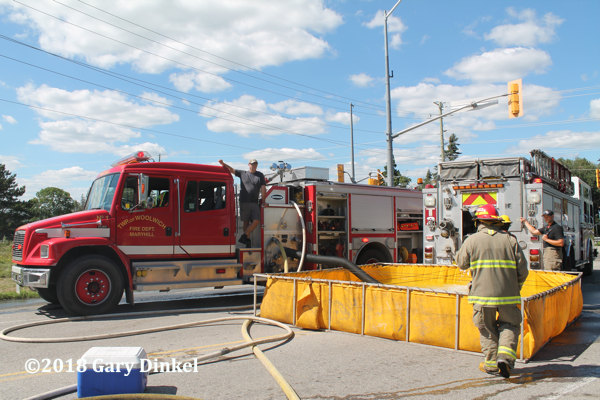 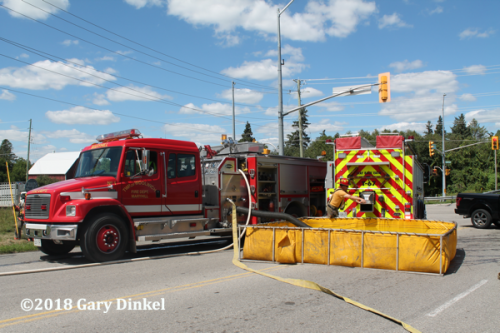 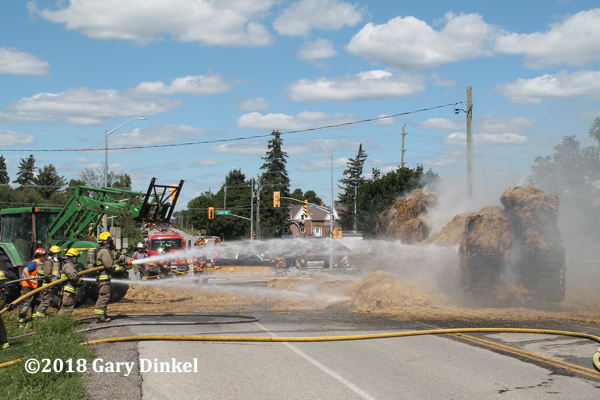 Once the fire was contained, tankers drove to New Hamburg (Waterloo County) to fill up. 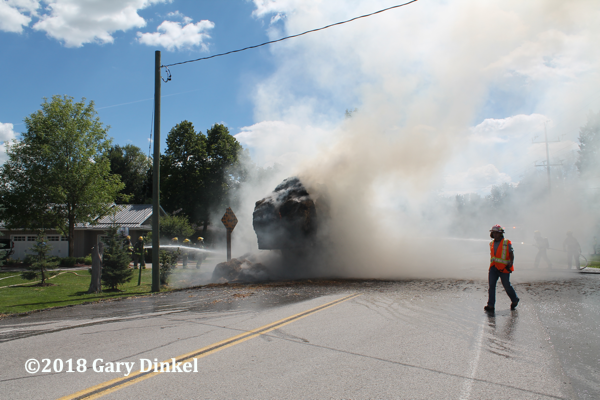 The road is the dividing line between the two counties. 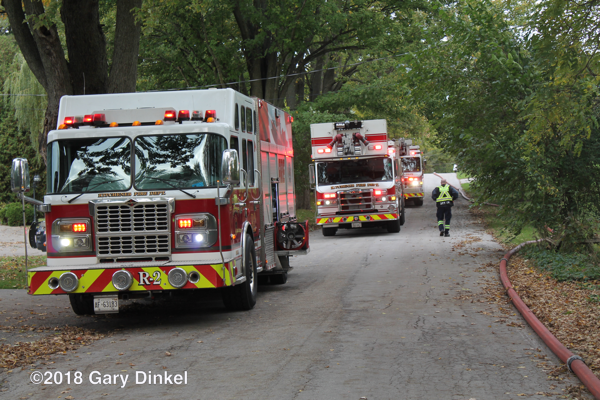 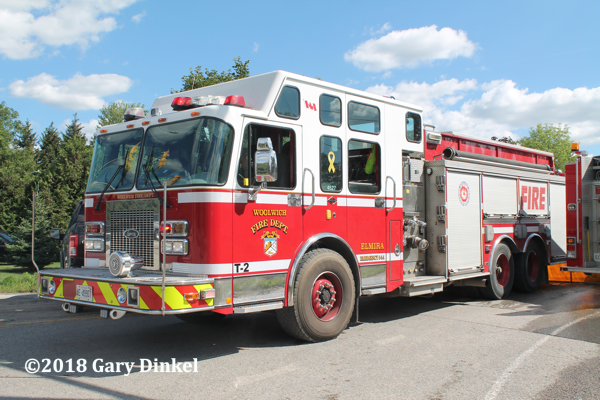 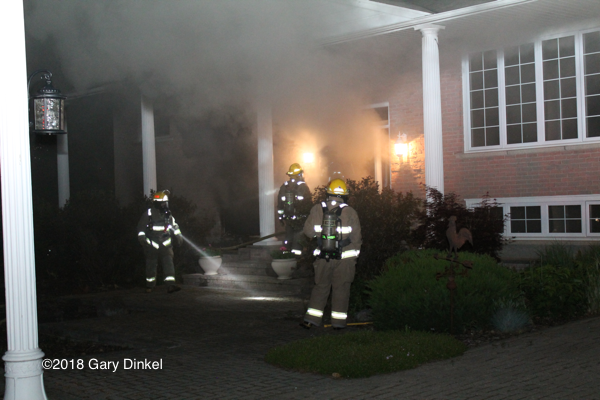 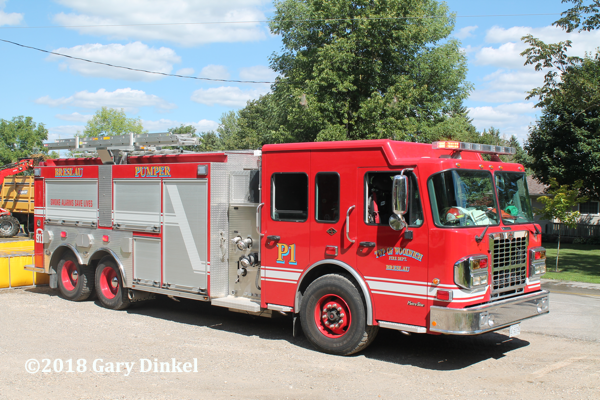 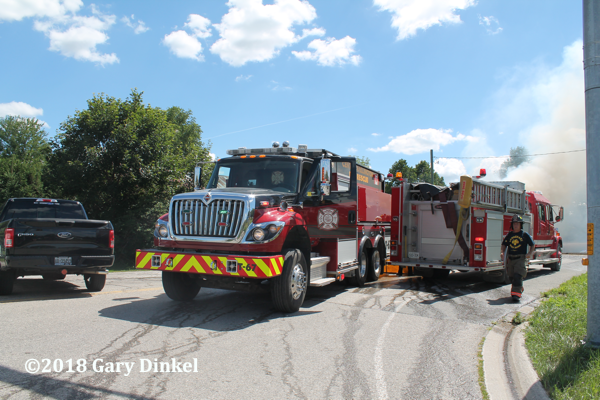 Plattsville’s chief arrived on scene and advised command they had been dispatched for smoke in the area around 2:30 but were unable to find the source. 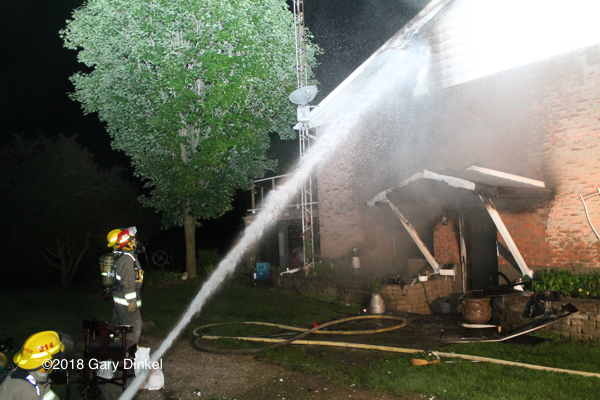 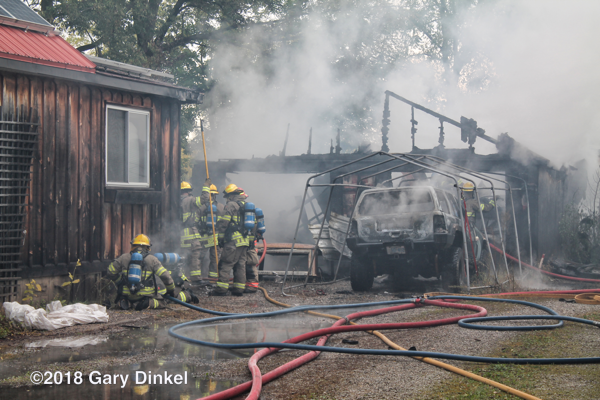 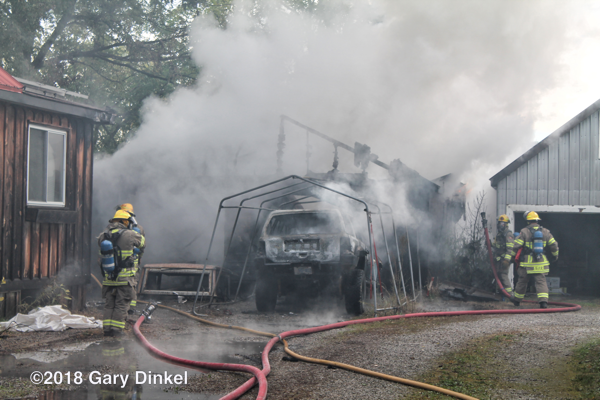 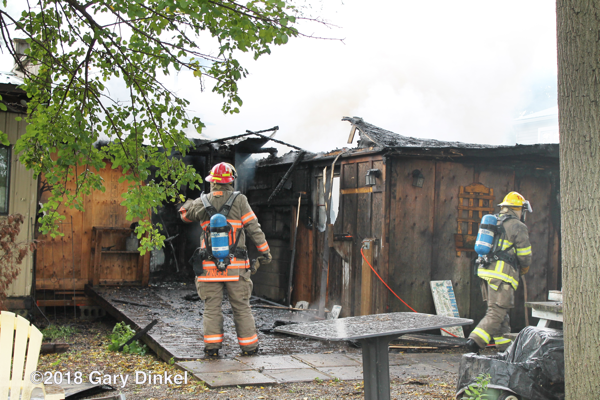 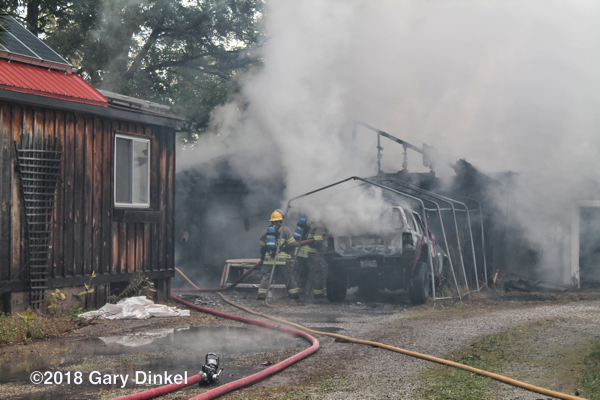 Firefighters did a good job saving approximately 70% of the barn. 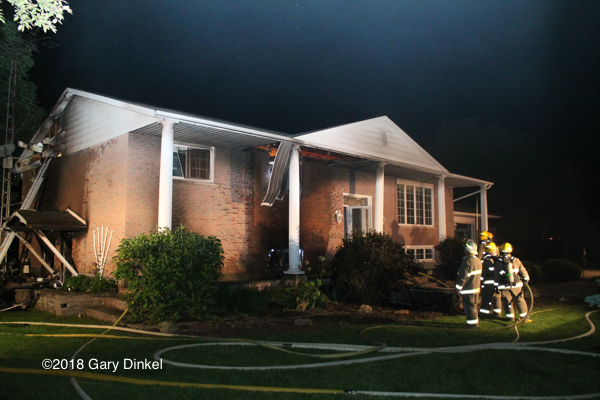 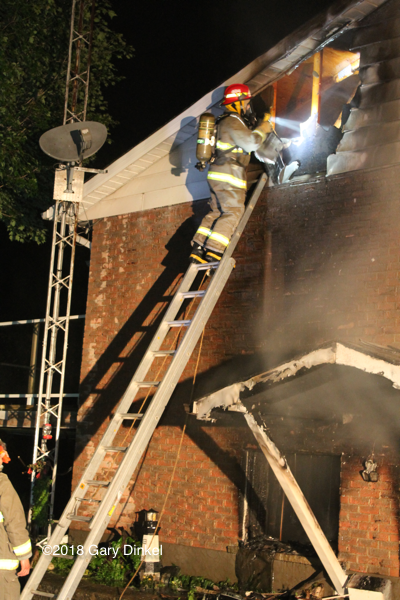 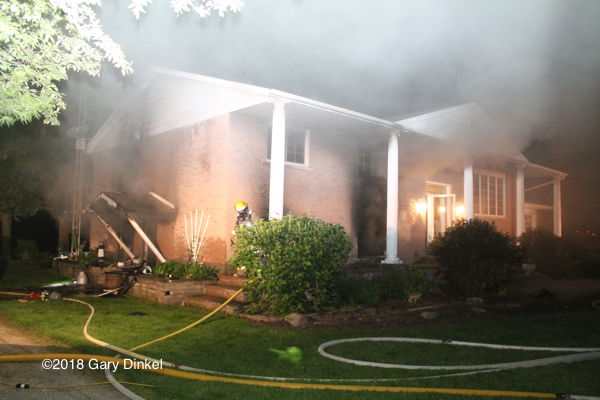 Box 690 provided rehab for the fire. 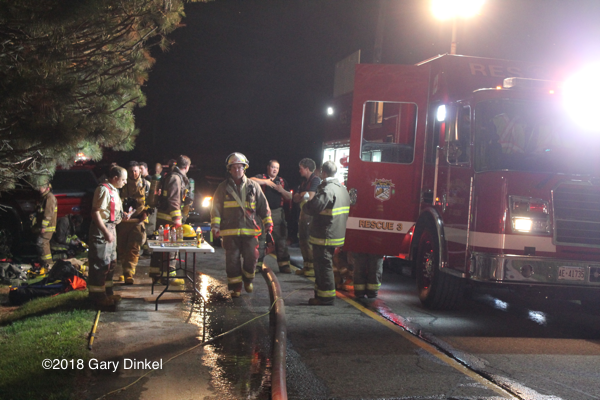 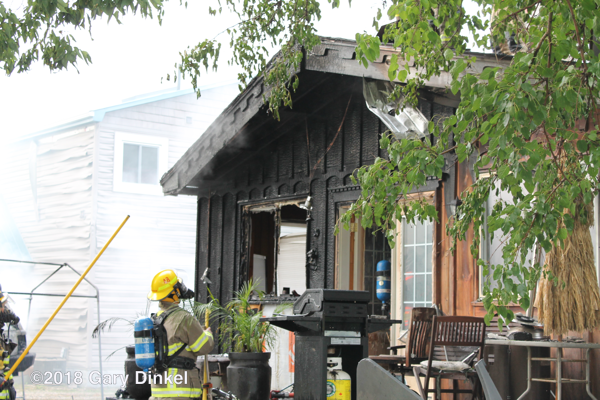 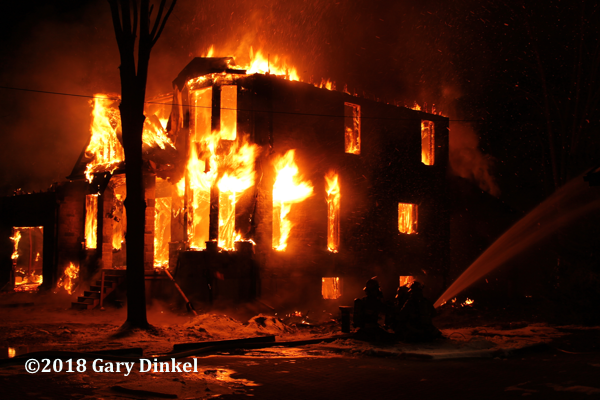 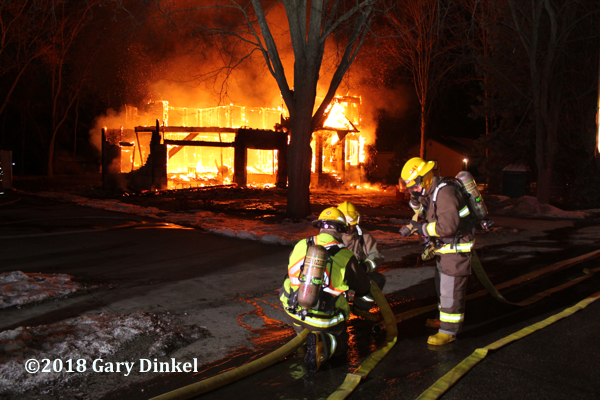 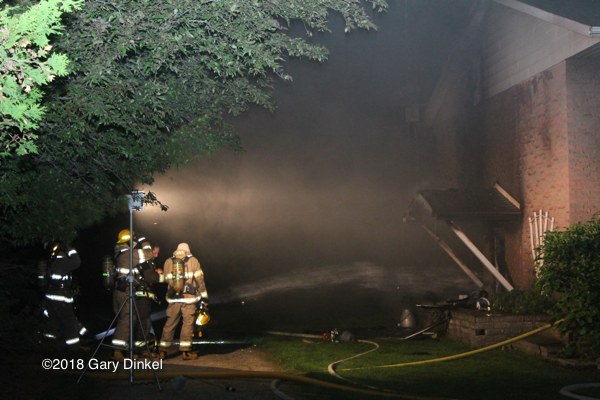 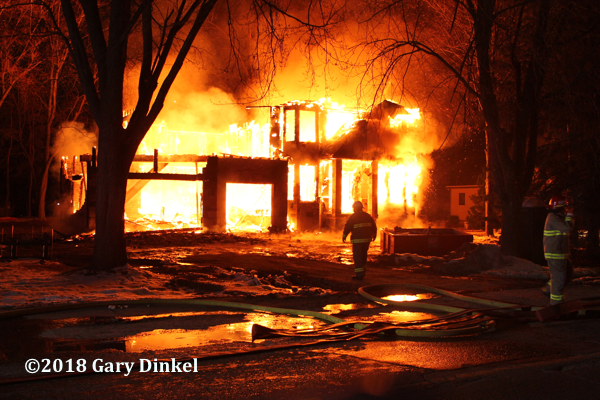 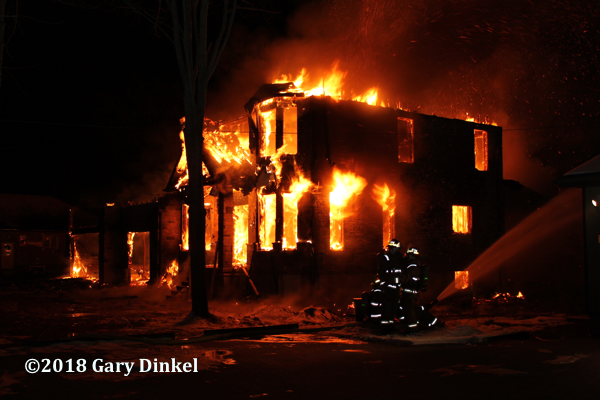 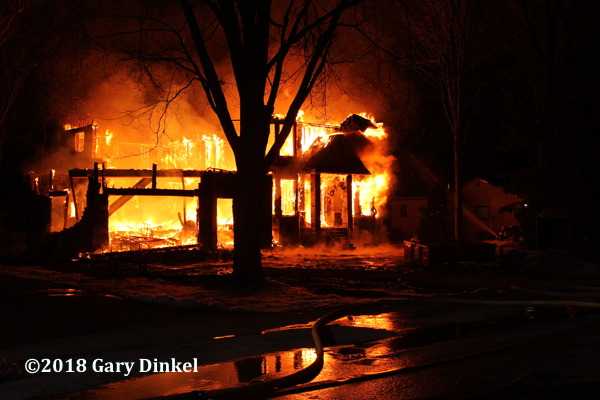 Video and photos taken 50 minutes into the fire.